This region (“Val” comes from the Arabic word for “administrative area”) in southeastern Sicily was declared a world heritage site by UNESCO in 2002 on account of its eight late-baroque cities: Caltagirone, Militello in Val die Catania, Catania, Modica, Noto, Palazzolo, Ragusa, and Scicli. They existed during the Middle Ages, but were rebuilt after the disastrous earthquake of 1693 in the architectural style of the day. In terms of city planning and architectural embellishment, these cities represent the heyday of the baroque period in Europe. 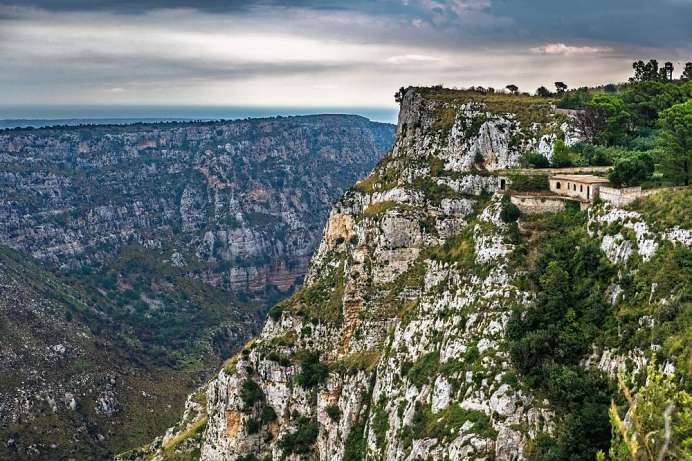 The caves in the 13 km long canyon of Ispica have a turbulent history: From prehistoric times until 1935 they were inhabited from time to time. In between they served as necropolis or catacombs. Particularly worth seeing are the Grotta San Nicola and the Urutti Giardina, a Christian tomb cave. This 14th century castle was completed in the 19th century. Its neo-Gothic Venetian facade exudes the spirit of Romanticism. 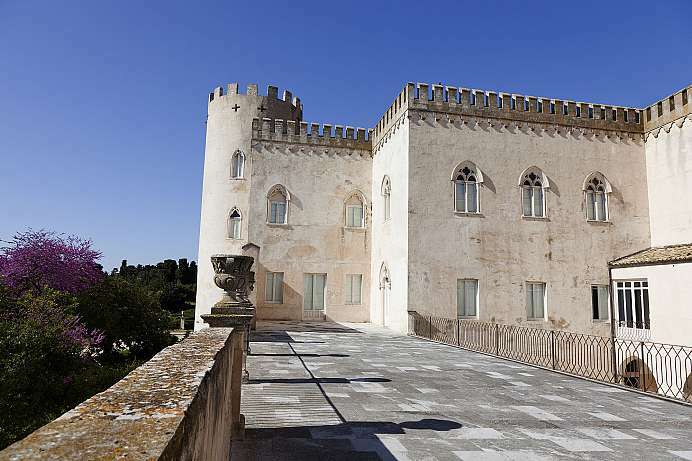 This is in keeping with the castle's name: “Donnafuagata” means “fleeing woman.” It probably dates back to around the year 1900, when the granddaughter of the castle's owner would disappear with her lover at night. The castle is open to visitors and there is a good trattoria inside. Completely destroyed by an earthquake in 1693, the town south of Syracuse was rebuilt entirely in Baroque style. 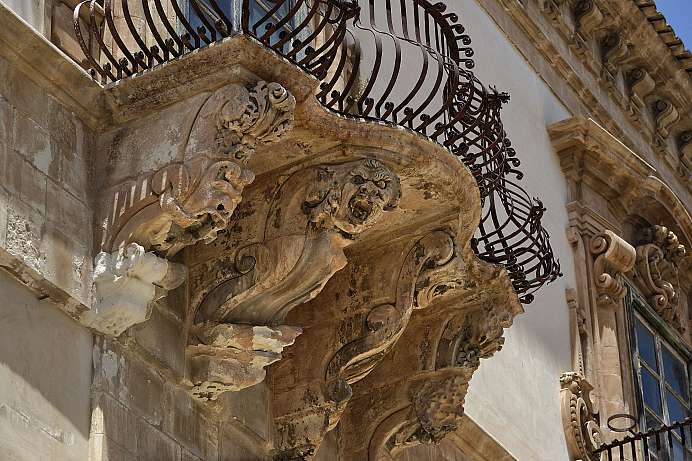 The artists' creativity must have been overflowing: Mermaids and demons, angels and winged horses and grimacing monsters adorn the facades of houses and balconies. 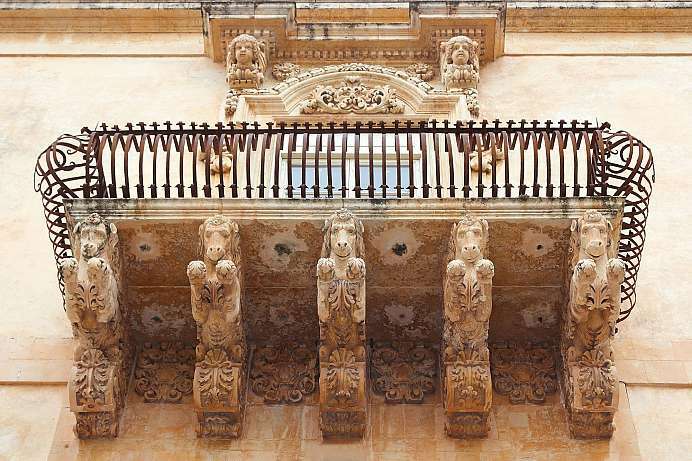 Today Noto is one of the most beautiful cities in Sicily – especially in the afternoon when the sun gives this garden of stone a wonderful golden glow. 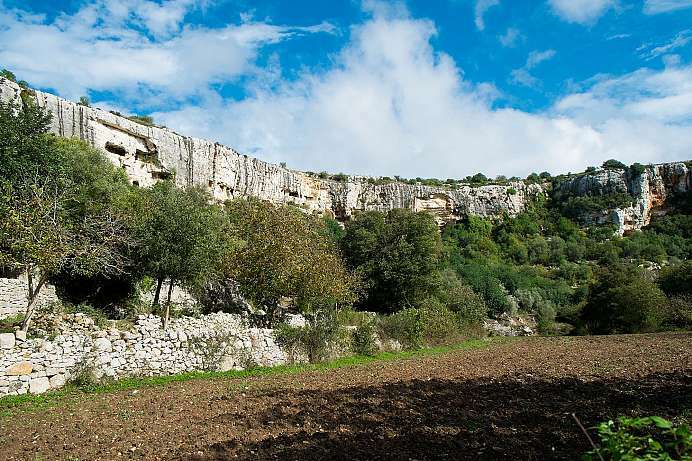 The origins of Ragusa can be traced back to the 2nd millennium BC, when several settlements were established in the area by the ancient Sicels. The current town of Ragusa Ibla probably sits on the site of one of these, identified as Hybla Heraia. 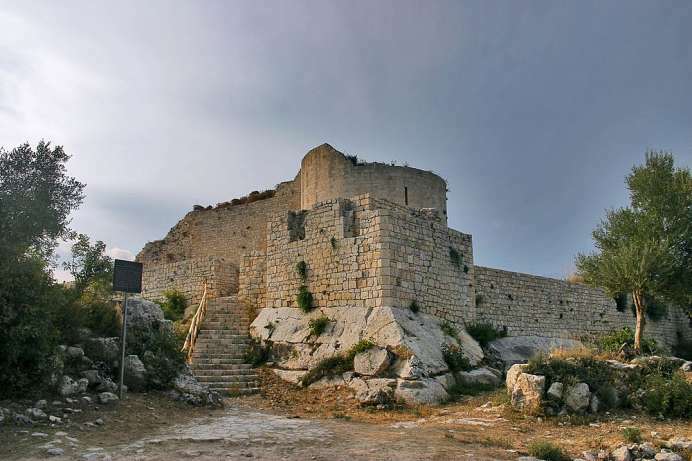 The ancient city located on a 300 m high hill came into contact with the nearby Greek colonies and developed thanks to the nearby port of Camerina. In 1693 the city was devastated by a huge earthquake which killed some 5,000 inhabitants. The city was largely rebuilt, and many baroque buildings date from this period. 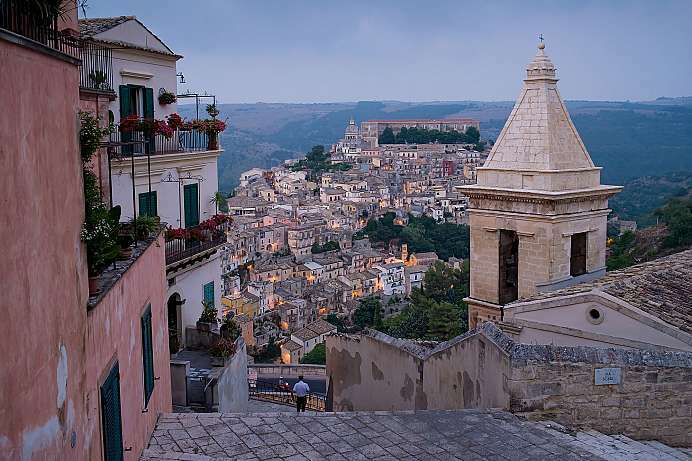 Ragusa has two distinct areas, the lower and older town of Ragusa Ibla, and the higher section called Ragusa Superiore (Upper Town). This part of town was designed on the drawing board in the 18th centrury, which explains the checkered floorplan. The two halves are separated by the Valle dei Ponti, a deep ravine crossed by four bridges. The most noteworthy of them is the eighteenth-century Ponte dei Cappuccini. First, a refinery was to be built. Following protests, plans for a large holiday resort were then developed. Eventually, however, the 1,450-hectare wetland was declared a nature reserve in 1983. Dotted with small lakes and coastal dunes it is home to foxes, rabbits, porcupines and tortoises. For migratory birds it is one of the most important resting places in the Mediterranean. In the summer the sandy beach to the south of the Tellaro estuary is a popular seaside resort of the local people. 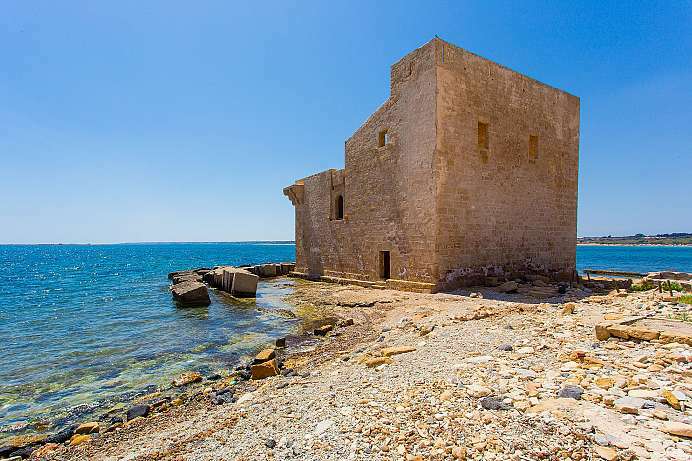 Of interest is the Torre Sveva, a fortified tower from the 15th century. This city was founded by the Sicels. It was later under Arab rule until it became a royal city under the Normans. During the rule of Friedrich II, the city was controlled by the counts of Modica. The city and the entire Val di Noto were destroyed by an earthquake in 1693, after which it was rebuilt in the Sicilian baroque style. It received the status of a UNESCO World Heritage Site thanks to the unity of its architecture. The Sughereta of Niscemi is the last large cork oak forest in the center of Sicily. The clearing of the Niscemi area began at the beginning of the 17th century under the new feudal lord Branciforti. But after more than 100 years the senseless waste of resources could be stopped – by laws for the sustainable use of the wood. 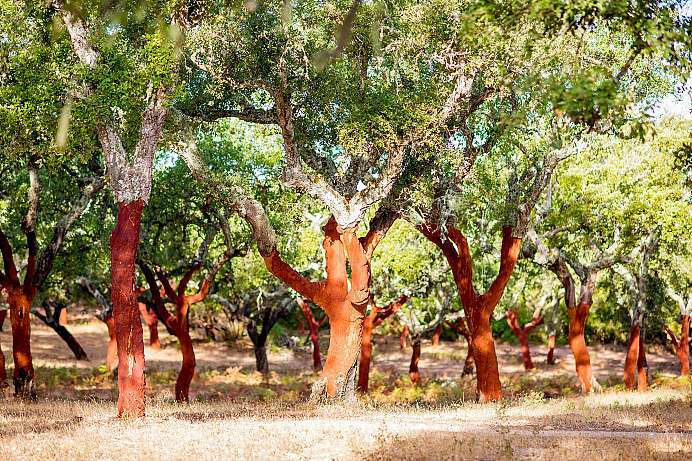 They were issued in 1718 and have ensured that to date 3,000 hectares of cork oak forest have remained standing. Between the cork oaks grows Ilex and evergreen Macchia. Botanists will be interested to know that recently the Helianthemum sanguineum was discovered, a relative of the sun rose, which otherwise only occurs in Morocco and Portugal and has been considered extinct in Italy for centuries. A path following a handrail rope leads through the reserve.